The unruly, heavy, tangly mop of a mane I had is gone, allllll gone! You can't particularly tell in the 'before' photo, but my hair had gotten to be waist-length and impossible to take care of. It's been a bit of a brush-and-go situation lately. But on Sunday, I decided enough was enough, walked into a local salon, claimed a cup of Keurig coffee as my own, took a deep breath, pointed to my collarbone area and said "this short!" The stylist gave a brisk nod, sent me off to a paradise known as the shampooing chair (eyes open or closed?? ), and then got to work fifteen minutes later. He took half of my hair in his hands, inspected it, and then snip, six inches of it disappeared. No going back now. Then, before I knew it, he was cutting and cutting and cutting. In my head, there was a lot of "crap crap crap" going on and a lot of "*@#& what did I do?!" I was 'iffy' until the very last second when he was done snipping and blowdrying and rubbing styling cream that smelled REALLY GOOD into the ends and straightening and performing magic. And then he gave me a magic mirror and I preened like a peacock, I did. 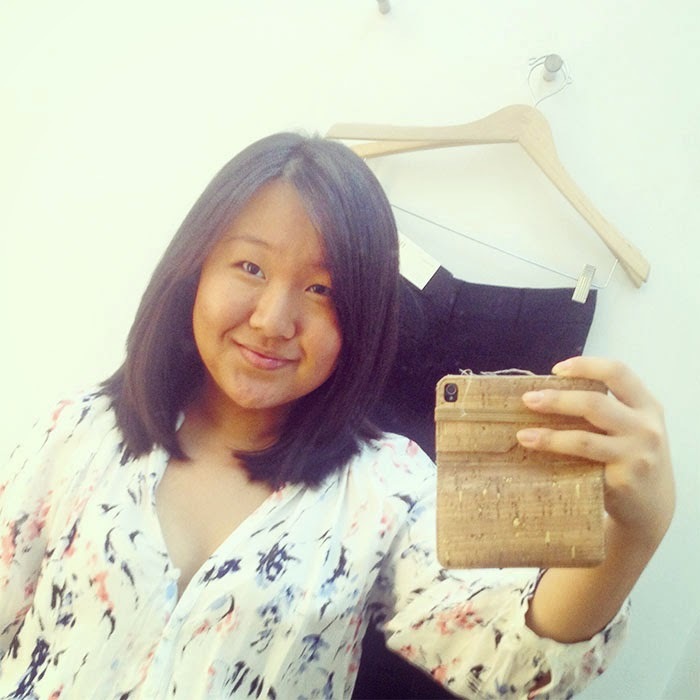 I can't believe I was narcissistic enough to write an entire post about a haircut. Also, my hair grows back so fast, I bet it's waist length again by the time you read this. AHHH i love it! you look amaze. It looks so good! 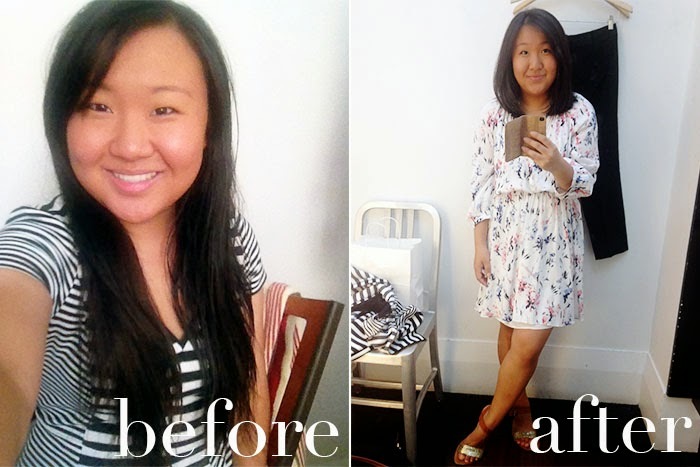 I recently cut ten inches off mine, and it felt so great! Psssh, you be rockin' the short cut! This post only makes you marginally narcissistic ;). You look amazing with short hair! It's a refreshing change! Yeee!!! Girl it seriously looks fab! And the question about whether or not you open or close your eyes during the shampooing haunts me every time I hit the salon!!! LOVE it. It looks reallly thick and healthy. Sometimes a chop just feels really good. Ohhhh, I love this! You look great! I wish I had the (metaphorical) balls to cut my hair that short! No way!!!! You are so brave girl! I keep going back and forth with cutting my hair! Yours looks fabulous!!! Looks great girl! I always get that weird panicky feeling when they're cutting too! But ya look like a million bucks lady. I want to do the same thing, but don't have the courage. I love your hair both ways, but the new look is so fresh!! it looks so great both ways. it's always nice to get a fresh new look! You look fabulous! This is an old post and I've seen your latest hairstyle - you look great either way.